The species is distributed from Eastern Europe to Altai in steppe zone. There is no intraspecific variation reported and therefore the species is supposed to be monotypic, however it appears that Armenian population is rather isolated and therefore is a subject of special taxonomic study. In Armenia the species was found in 2017 at steppes of Vardenis Mountains at the elevation of about 2400 m a.s.l. Form other parts of its distribution range the Stipa spp. is known as the larval host-plant. The specimens were collected in July, which supposes the flight period during that month in one generation. The species is rare within its habitat, and this is the only conclusion, which could be made so far. Presumably it can be affected by overgrazing and uncontrolled mowing. The species is not included in the Global and National Red Lists, as well as in CITES and Bern Conventions, but is evaluated for European Red Book as Critically Endangered. 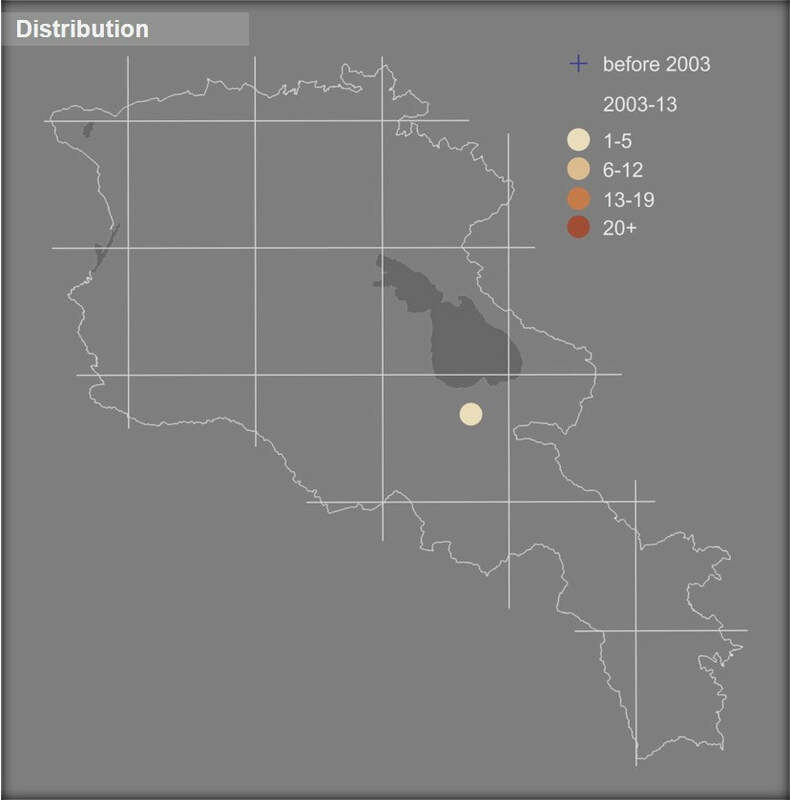 Preliminary assessment of its conservation status for Armenia suggests it as Data Deficient and therefore urgent study of the species distribution, abundance, biological peculiarities, and threats are required. 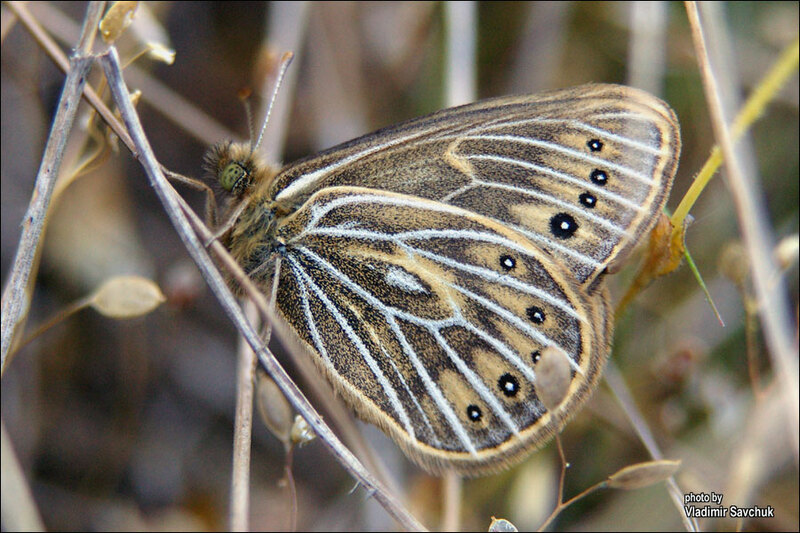 Since the site is not covered by any of protected areas or Emerald Sites, it is also recommended to assess it as Prime Butterfly Area with further increasing of its protection status.